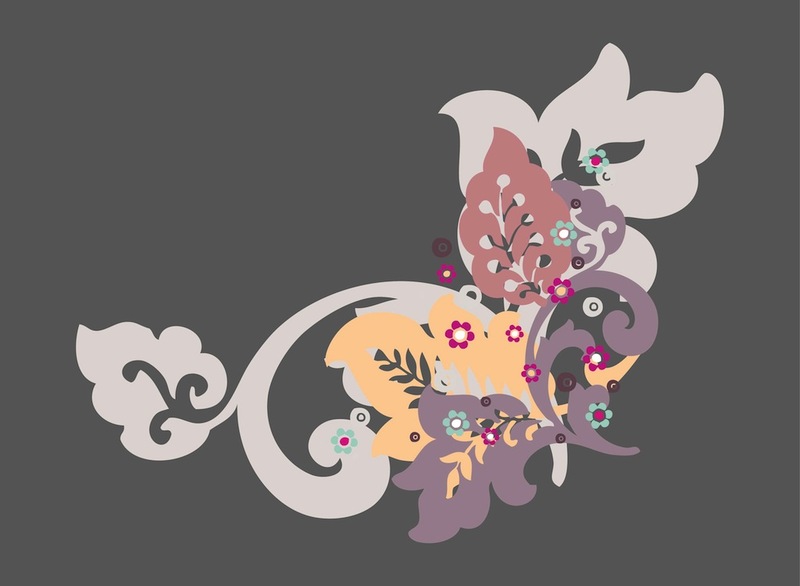 Spring nature vector layout with various flowers. Colorful floral design with different shapes and sizes of the leaves, stems and petals of the blooming plants. Free vector image to create clothing prints, stickers, background and poster decorations and spring greeting cards. Stylized flowers for your beautiful plants designs. Tags: Abstract, Decoration, Flowers, Nature, Plants, Spring, Swirls.